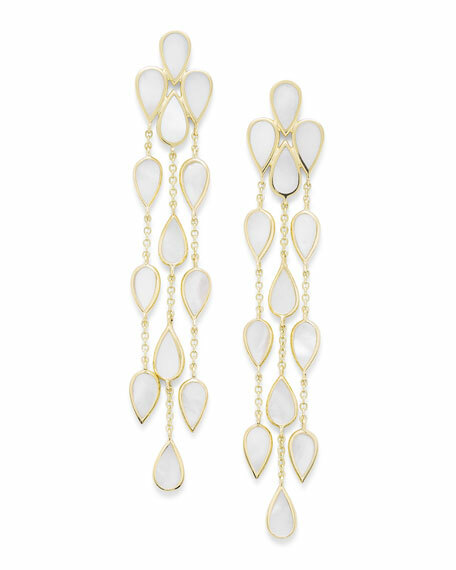 Ippolita multi-pear linear dangle earrings. Rolo chains with mother-of-pearl drops. For in-store inquiries, use sku #2590378.